Great Gutton is a charming Grade II* listed Devonshire Farmhouse set in 21 acres of rolling countryside, offering dog friendly, self catering cottages in the heart of rural Devon. Great Gutton were struggling to maintain their aging website, which was starting to show it's age and hamper regular updating. The brief called for a fresh approach with a stylish new site, built on a modern, responsive CMS. 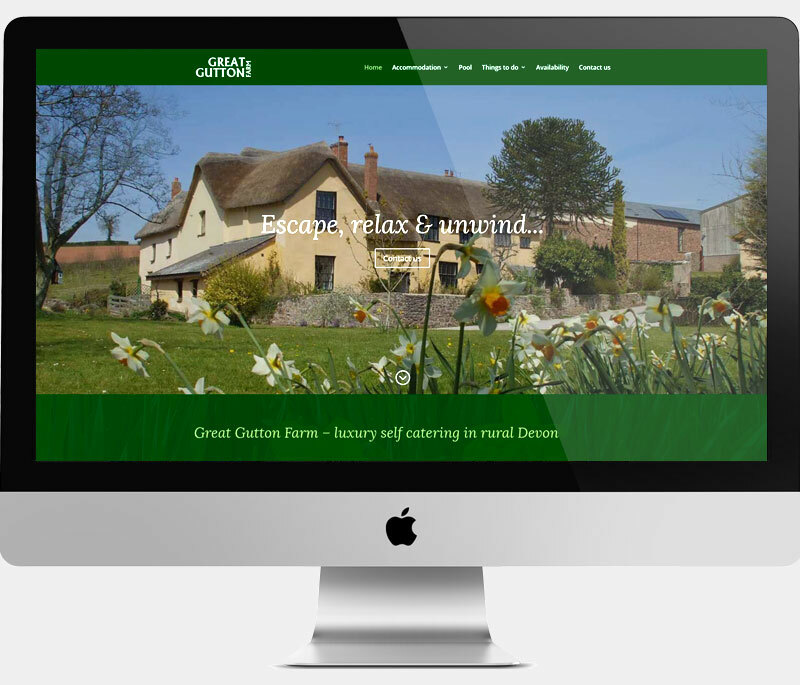 We were keen to offer Great Gutton a really great site for their budget, that would help to showcase their beautiful rural retreat and facilities. 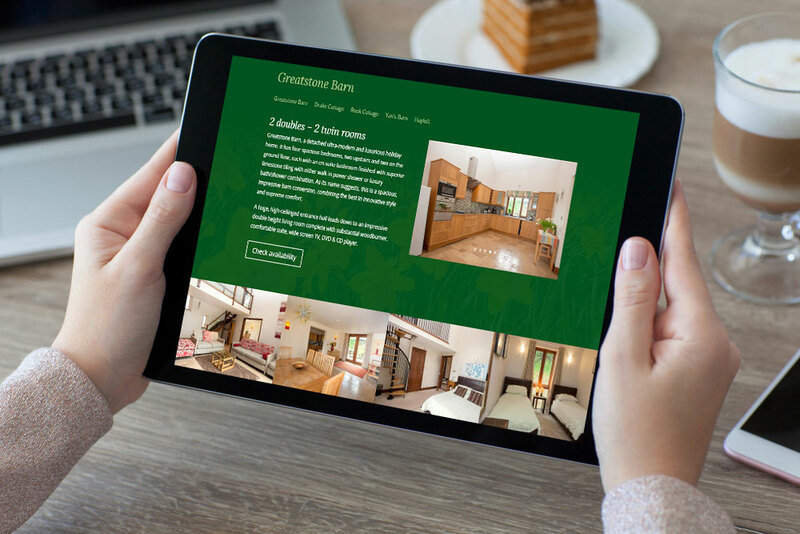 A key consideration was a client friendly interface to update dwellings and facilities and an intuitive, cost effective method for providing availability and pricing information. Based on the perennially popular WordPress content management system the new site offers a flexible and responsive layout with a comprehensive set of client editing tools. As always, we took care of everything necessary to launch the site, including design, SEO and hosting as well as making the best possible use of any available media. Advice and website training were provided to enable the client to make their own ongoing updates. Integration of an adaptable calendar module takes care of booking and availability requirements.